Kenneth (Ken) B. 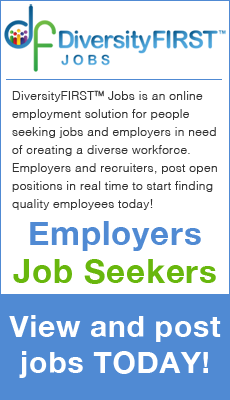 Hunter is the Chief Diversity & Inclusion Officer and Equal Employment Opportunity Officer for the City of New York’s, Department of Information Technology and Telecommunications (DoITT). He is an accomplished human relations leader and program architect with extensive expertise in the principles of Diversity, Inclusion, and Equal Employment Opportunity regulatory guidance. He is skilled at defining, applying and measuring the principles and metrics of organizational development and change management within Federal, healthcare, and higher education institutions. 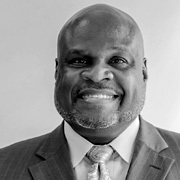 He has implemented Diversity programs at Louisiana State University Health Sciences Center in Shreveport LA and in his current position at DoITT. Previous to his position at DoITT, Ken was the Deputy EEO Officer for the Department of Navy, Naval District Washington, in Washington DC. Previous to that he worked at the US Department of Veteran Affairs (VA) serving in dual positions managing two nationwide programs – The National Diversity Internship Program (NDIP) and the Lesbian, Gay, Bisexual, and Transgender (LGBT) program. Ken also served as the Equal Employment Opportunity Officer for the US Coast Guard in New London, CT. While with the Coast Guard, he managed the EEO program for the Coast Guard Academy as well as an additional area covering three states and 8000 personnel. He also honed his skills in human relations by serving in the US Army for over twenty years in a variety of stateside and overseas assignments. Ken is a graduate of the University of Maryland with a BA in Management and a Master of Human Relations (MHR) degree from the University of Oklahoma. He is certified as a Diversity trainer with the Anti-Defamation League and as a Certified Diversity Professional from Diversity Training University International (DTUI). Ken uses his vast life experiences and educational background to address cultural competency challenges. He also uses these to develop and lead transformative diversity and inclusion initiatives including the development and implementation of strategic plans, policies, and procedures to foster more collaborative and high performing organizations.